When it comes to the kind of pool Contractor in Calabasas that provides their personalized signature on their work and guarantee a one of a kind experience to last a life time, we’re the obvious choice right here at Allstate Pools and Spas. With a history stretching back more than 30 years, we understand exactly how to satisfy our client’s desire with a professional combination of craftsmanship and innovation which makes use of room, color and sound to help your vision of a luxury swimming pool materialize. All of us would like you to be well advised regarding all the elements that go into making the right purchase and to that end we provide an entire primer for the luxury pool buying experience. Take time to familiarize yourself with our Seven Secrets so that you’ll feel comfortable about working together with all of us as the pool contractor in Calabasas which will created and implement your own vision. We’re Allstate Pools and Spas and we’ve successfully helped your vision becoming reality with regard to over thirty years. 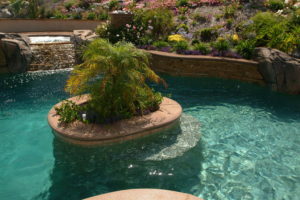 Take a minute to go to some of the other pages here to learn much more about our pool construction services in Calabasas and then make sure to phone or simply click today so we can get started making your luxury pool vision a reality.